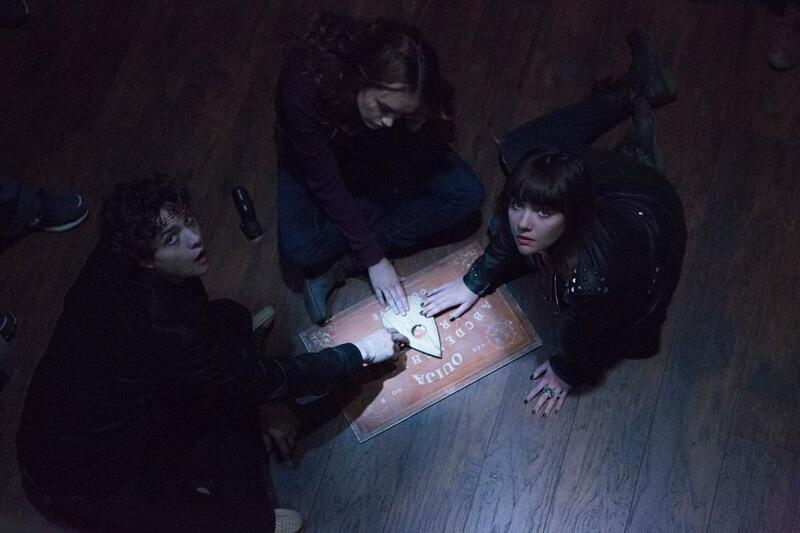 Ouija follows a group of friends who must confront their most terrifying fears when they awaken the dark powers of an ancient spirit board. The Michael Bay-produced film was directed by Stiles White, and it stars Olivia Cooke, Douglas Smith, Bianca Santos, Daren Kagasoff, Vivis Colombetti, Ana Coto, and Erin Moriarty. The movie is set to be released on October 24th. The trailer premiered on the Pretty Little Liars Facebook page, so that should give you an idea of the audience the studio is trying to target.